Growing in Grace Podcast: 626. Can Grace Become a Dangerous Doctrine? 626. 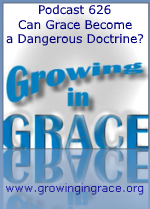 Can Grace Become a Dangerous Doctrine? Grace has been known to receive a bad rap when it is communicated as the foundation and the fullness of the gospel. When free and unlimited grace is taught, it has been known to be accused of giving people a license to sin, thereby causing sin to increase. 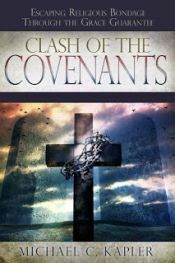 Grace has been falsely rumored to be a dangerous doctrine when it is taught apart from the law, which came through the Old Covenant once given to Israel. Over the years on this podcast, we've been misunderstood by many who have jumped to the wrong conclusions about what we're saying. This is largely because of the established mindset they have developed which is built upon a foundation of law and grace being mixed together. On this week's program, we attempt to bring some clarity on what we've been saying — and also what we're not saying.